Brain arteriovenous malformations (bAVMs) have an estimated prevalence of 10-18 per 100,000 persons. They consist of a nidus which connects arteries and veins in the absence of an intervening capillary bed. The absence of a capillary network allows for high-flow AV shunting that can be sufficient in some cases to increase cardiac output and cause a systolic-diastolic bruit heard over the ipsilateral cranium, eye, and/or forehead. Resulting shear stresses on the vessel walls can dilate and cause subendothelial thickening and abnormal or absent media and elastic lamina in the feeding arteries, predisposing to the development of arterial aneurysms and to bAVM rupture which is estimated to account for 1.4% to 2% of hemorrhagic strokes. AVMs can occur at any site in the central nervous system, including the cerebral cortex, brainstem and spinal cord. Approximately half of cortical AVMs are situated in the border zone watershed area between the distal anterior, middle, and posterior cerebral arteries [1-4]. The most common presenting symptoms of bAVMs are seizures (18%-40%), non-distinctive headaches (5%-14%), and those due to intraparenchymal and subarachnoid hemorrhage (approximately 4% per year without associated aneurysms, 7% per year with associated aneurysms) [1-4]. Abrupt bleeding into the subarachnoid space may cause a "thunderclap" headache which reaches its peak intensity within one minute (often in seconds) and causes "the worst headache ever". Any person with a thunderclap headache should be sent to the Emergency Room for an immediate non-contrast CT scan (> 95% sensitivity in detecting an intracranial bleed); if the CT scan is negative, the patient should undergo a lumbar puncture looking for evidence of CNS hemorrhage (red blood cells, xanthochromia, and/or bilirubin). Thunderclap headaches are most commonly seen in persons with ruptured Berry aneurysms and bAVMs, less commonly with the reversible cerebral vasoconstriction syndrome (RCVS), and rarely with migraine headaches . Cerebral angiography is the gold standard for the detection and evaluation of bAVMs. CT and MRI angiography can be used to visualize AVMs but are limited in their ability to provide detailed information about AVM architecture [1-4]. Vessel wall magnetic resonance imaging (VW-MRI) is a new imaging technique with the ability to characterize intracranial vessel wall pathology, including that associated with atherosclerosis, aneurysm, dissection, vasculitis, and RCVS . While attending school, a 15-year-old previously healthy right-handed girl developed the abrupt onset of headache, right-sided numbness and weakness, and dysarthria. The headache was located over the left temporal area and was described being "excruciating" with the pain reaching its maximum intensity within seconds of onset. Within two hours she lost consciousness and was taken to the Emergency Room and admitted to the hospital. On admission, her physical examination was notable for the presence of weakness, diminished sensation to light touch, hyperreflexia in the right upper and lower extremities, and a positive right-sided Babinski sign. There was mild meningismus on flexion of the neck. She had a faint systolic-diastolic bruit heard best over the left orbit and forehead. A T2-weighted MRI revealed a cavitating intracerebral hematoma in the distribution of the middle division of the left middle cerebral artery (Figure 1). A left carotid angiogram was notable for the presence of an AVM involving the distal portion of the medial division of the middle cerebral artery (Figure 2). Ten days after admission, the patient underwent the first of two surgeries to remove/occlude the AVM. Rehabilitation therapy, which included speech and occupational therapy, was given daily for five years. She returned to school two and one-half months after the stoke. Her course has been complicated by epilepsy (right-sided facial numbness and unresponsiveness) for which she is receiving carbamazepine. She is left with a mild right-sided hemiparesis, most notable in her right arm and hand, but is able to work fulltime in a clerical position, and is now happily married. Figure 1: T2-weighted MRI showing a cavitating intracranial hematoma in the distribution of the middle branch of the left middle cerebral artery. The hematoma has ruptured into the lateral ventricle (first frame on left) causing blood to appear in the subarachnoid space. The hematoma has shifted the midline to the right (best seen in the second and third frames from the left). 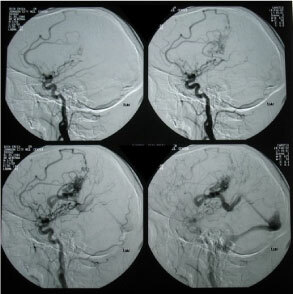 Figure 2: Left carotid CT angiogram showing an arteriovenous malformation involving the distal portion of the middle branch of the left middle cerebral artery. Areas of hemorrhage are best seen in the superior fields of the bottom two images. Novakovic RL, Lazzaro MA, Castonguay AC, Zaidat OO (2013) The diagnosis and management of brain arteriovenous malformations. Neurol Clin 31: 749-763. Abecassis IJ, Xu DS, Batjer HH, Bendok BR (2014) Natural history of brain arteriovenous malformations: A systematic review. Neurosurg Focus 37: E7. Ozpinar A, Mendez G, Abla AA (2017) Epidemiology, genetics, pathophysiology, and prognostic classifications of cerebral arteriovenous malformations. Handb Clin Neurol 143: 5-13. Lawton MT, Rutledge WC, Kim H, Stapf C, Whitehead KJ, et al. (2015) Brain arteriovenous malformations. Nat Rev Dis Primers 1: 15008. Lawton MT, Vates GE (2017) Subarachnoid hemorrhage. N Engl J Med 377: 257-266. Tan HW, Chen X, Maingard J, Barras CD, Logan C, et al. 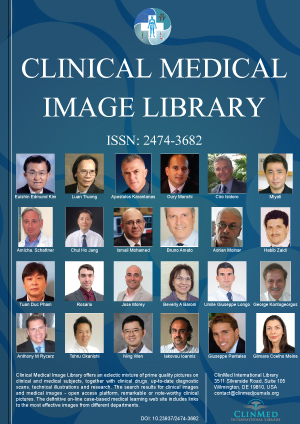 (2018) Intracranial vessel wall imaging with magnetic resonance imaging: Current techniques and applications. World Neurosurg 112: 186-198. J Kelly Smith, Departments of Academic Affairs and Biomedical Sciences, James H. Quillen College of Medicine, East Tennessee State University, Johnson City, Tennessee, USA. © 2019 Smith JK, et al. This is an open-access content distributed under the terms of the Creative Commons Attribution License, which permits unrestricted use, distribution, and reproduction in any medium, provided the original author and source are credited.